Welcome to Siding 36 Motel & RV Park in White Lake, South Dakota, home of a historic stretch of railroad track, or siding, in the heart of Pheasant Country. Siding 36 is conveniently located “mid-track” between Mitchell and Chamberlain, South Dakota. With easy access off Interstate 90 at Exit 296, our location is both convenient and comfortable. Siding 36 boasts an inviting motel, as well as a tranquil RV park & campground for your overnight travel needs. As the railroad pushed its way west, it brought settlers and adventure seekers looking to start a new life in the Dakota Territory. The town of White Lake, South Dakota was founded in 1881, after a railroad depot or “siding” was established, 36 miles from Mitchell. Siding 36 is named for this significant location and period in American West history. White Lake was also the landing site of the manned exploratory balloon, Explorer II, in November of 1935. The purpose of the balloon was to collect data on atmospheric conditions, weather information and scientific data. Explorer II broke several world records during its flight, pertaining to the size of the balloon and the altitude it reached. This flight was heralded as the beginning of the United State’s space age. A monument marks the landing site and pictures of the balloon can be viewed at the White Lake Library on Main Street. For more information about White Lake, South Dakota, visit their website. Schedule your next arrival at Siding 36! 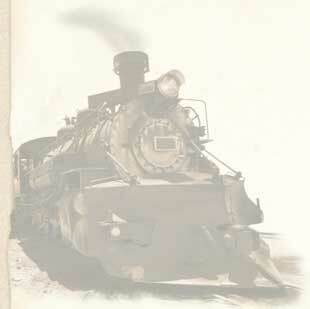 Where you will enjoy relaxed surroundings and even learn some South Dakota railway history. Call us at 605-249-2295 to make a reservation.